Is that how you view Mondays? Most don’t. It’s time for you to stand apart from the crowd. Today’s show is a quick 15 minute episode recorded while out and about hustling. Pardon the less than studio-like sound quality, but hopefully the message is one to spark inspiration as you start a new work week. 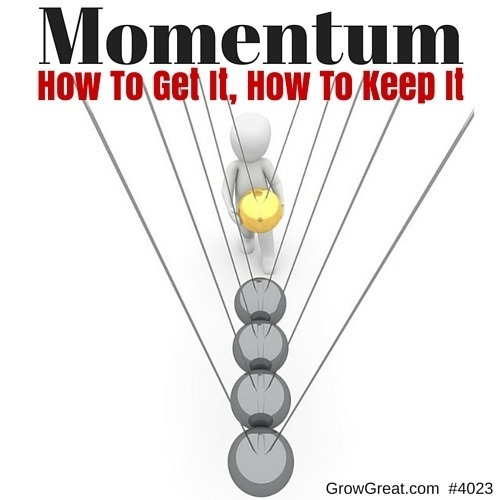 Prompted by my passion for Stanley Cup hockey and business, I’ve had conversations about momentum in the past week. Those talks provoked me to hit the record button on my iPhone while out and about today, hoping to avoid the thunderstorms looming here in DFW. P.S. Today’s show was recorded with my earbud microphone (JBL Inspire 300 Yurbuds).